Nice warm day today; decided I would go for a nice drive in the mountains and explore a bit. 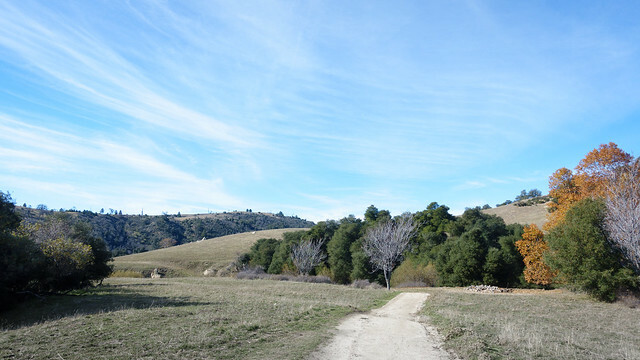 There's an open space preserve in the mountains just north of Julian that I've been interested in, the Santa Ysabel East preserve, with a 7 mile hike--perfect. 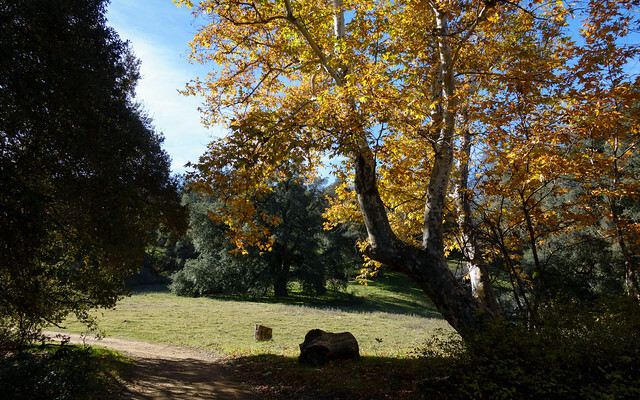 I was thinking that maybe some of the black oaks would still have nice golden autumn colors, but they didn't, sniff. Instead I was surprised to see the golden leaves on the sycamores that lined the creek. Even better, the recent rains had greened up the grass as well, and the bright blue skies made for a color-saturated day. 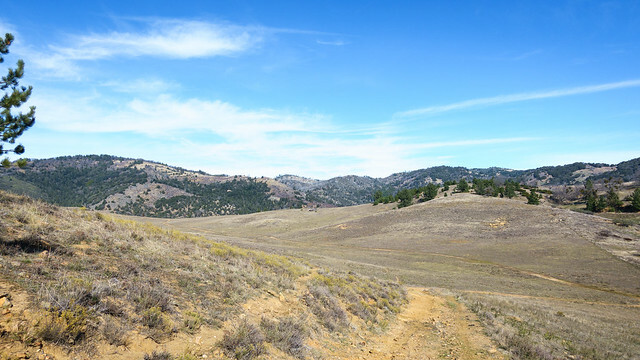 As for the hike itself, well, I really enjoyed the first three miles, but Kanaka Flats on top of the hill was kinda meh. There was a nice view from the top, where you could see over 100 miles west, all the way out to San Clemente Island, with a bonus log to sit on. I also kinda wanted to see some bigcone Douglas firs up close--this is the southern limit of their range. 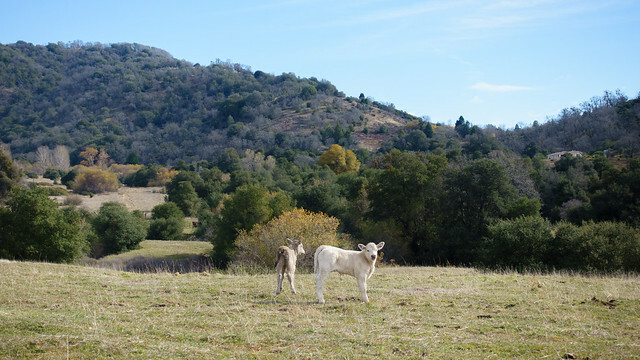 While I could see some on the slopes to the south and north as I hiked along Santa Ysabel creek, the trail never got even near them, and I didn't feel like bounding through the undergrowth with its poison oak.